Home	> 9. RALBACH/ RABBI LEVI IBN CHAVIV. FIRST EDITION, VENICE 1565. 9. RALBACH/ RABBI LEVI IBN CHAVIV. FIRST EDITION, VENICE 1565. 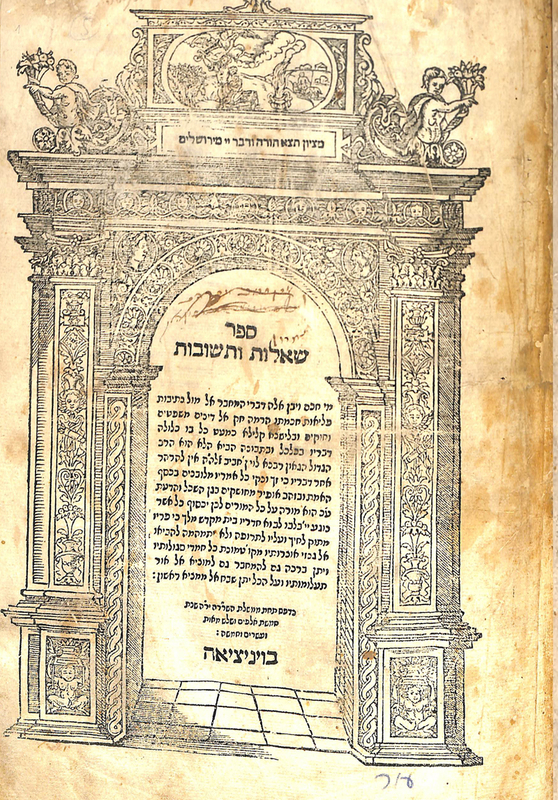 An important collection of Halachic responsa including a lengthy commentary on Maimonides’, Hilchos Kiddush HaChodesh – laws concerning the lunar calendar. Includes many detailed charts and diagrams. With additional responsa regarding the reinstating of the Semicha (rabbinical ordination) which was a great debate between the scholars of Jerusalem and Tzefas. 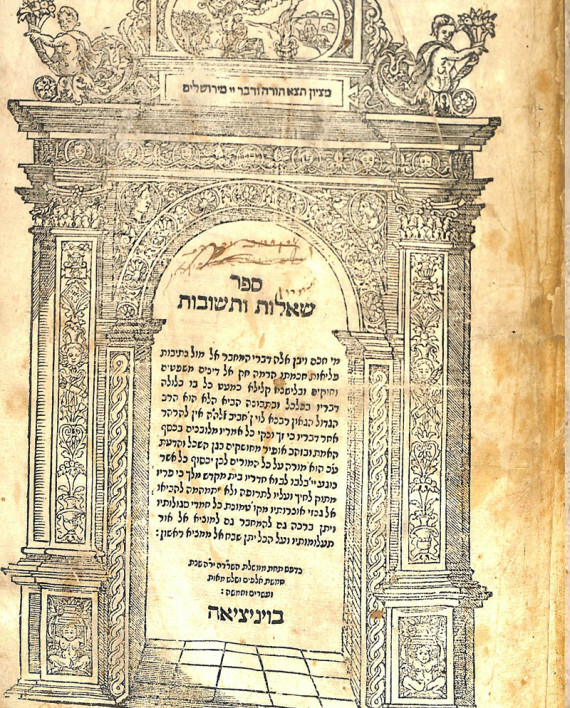  R. Levi ibn Chaviv (1483-1545) was born in Spain shortly before the era of the Inquisition. As a young child he was forcibly baptized in Portugal, however shortly afterwards he escaped together with his father to Salonika. There he developed into a great scholar and assisted his father in leading the community of Spanish exiles. In his later years he settled in Jerusalem where he was recognized as great halachic leader as was actively involved in opposing the proposed reinstatement of Semicha by the scholars of Tzefas. Vinograd Venice 508. 5, 210, 217-328 pages. Fine condition. Title page closely shaved with some loss to illustration of eagle. Some stains and foxing with trace worming. Fine leather binding.